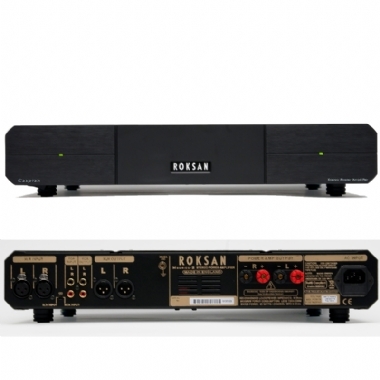 The latest addition to the lauded M2 range of premium Hi-Fi electronics from Roksan Audio is this monster of a power amplifier. Housed within a sleek, minimalist shell - this thing of beauty will push out a powerful, but well controlled 85 / 125 Watts (8 / 4O) into both channels. Infinitely musical, and thoroughly enjoyable, this power amplifier is a great accompaniment to any hi-fi system - though within an M2 system, it is truly excellent. Stereo power amplifier designed to perfectly complement the prestigious M2 range. Use this amplifier to bi-amp with an M2 Integrated Amplifier, or use the M2 Integrated Amplifier as a pre-amp. Well matched with a wide range of other high-end pre-amplification. Gain: 31.6dB Straight Or Untrimmed 0. 31.6dB Untrimmed To Fully Trimmed.